An incredible thing has happened in the automotive market in recent years. Dealer auctions have been opened up to more and more people thanks to the explosion of online car auctions. Websites that provide this service allow ordinary consumers to participate in the lucrative world of used and salvage car auctions. Because of this, consumers are saving more money on vehicles than they ever would have believed is possible. One of the most misunderstood aspects of online dealer auctions, particularly with those who are new to them, is the salvage cars. Many believe that these are vehicles that have been wrecked and that are essentially worthless. Although some of these vehicles have been in catastrophic collisions, that’s by far not always the case. There are many reasons that a car may be declared salvage, they might have only cosmetic damage, if any damage at all. For a variety of reasons, a salvage car might just make the perfect buying choice in your instance. Let’s take a look at what some of these reasons might be, before you completely discount them from your search. If you’re the kind of person that likes to work on and restore vehicles, then salvage cars can be an incredible resource. Because these cars can be had for literal pennies on the dollar, they’re often used by auto enthusiasts as a source for spare parts. In some cases, you might be able to mine a salvage car for spare parts that on their own cost more than the vehicle you’ve purchased! Some salvage cars, depending on what was wrong with them in the first place, might only have sustained superficial damage, or at least damage that can be repaired. You can make money by doing these repairs yourself. Even a car that has sustained huge amounts of damage after a collision, that will go for really cheap money will have plenty of spare parts that are in perfect condition, away from the site of the impact. This is one of the cheapest possible ways of getting your hands on legal, certified, spare parts for another vehicle. Have you always nurtured the dream of working on and restoring a car in your garage? If so, then a salvage vehicle is an ideal place to start. These vehicles require a very minimal up-front investment. Therefore, you can use most of your budget for restoring a vehicle on things you actually care about, like quality parts and cool modifications. They can be a fantastic learning resource for those that want to get to know car mechanics better. Don’t forget that cars can be declared salvage for all sorts of reasons, they may well have perfectly running engines, or might only need minor repairs. If you’re a real gear-head, maybe it’s time that you started your own business restoring cars? 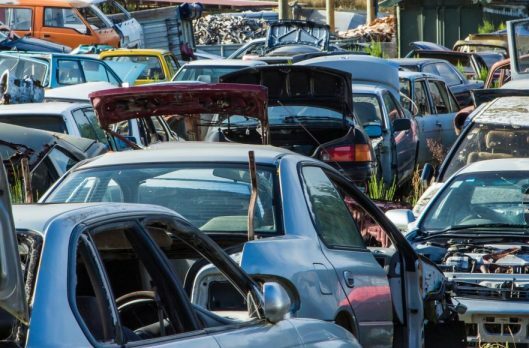 If you want to prove your worth to potential customers, and maybe even flip a car that you’ve worked on, then salvage cars are an incredible investment. The number of classic, collectible cars that you can get in this condition will probably surprise you. There is also a growing market to export used cars outside of the US. If you are able, and willing, to make repairs yourself, then there is certainly money to be made by repairing these vehicles, especially if they are for export to countries that don’t have as strict regulations regarding rebuilt salvage vehicles as in the US. This can also be done if you are outside of the US, and are looking for an American made car. A third-party car auction dealer can usually arrange all your shipping for you, including international transportation, directly to your door. They can even take care of customs papers, and can advise you about any other steps that need to be taken. The biggest reason you should consider buying a salvage car in a dealer auction is that they present the very best way of saving the most amount of money, when looking at legal ways of obtaining a new car. Provided you bid smart, can do some of the repair work yourself (or know a quality mechanic who can), you’ll often find that you’re saving even more than you would have had you bid on an ordinary used car. There is a reason why there is so much repeat business in the car auction world – Find out for yourself!